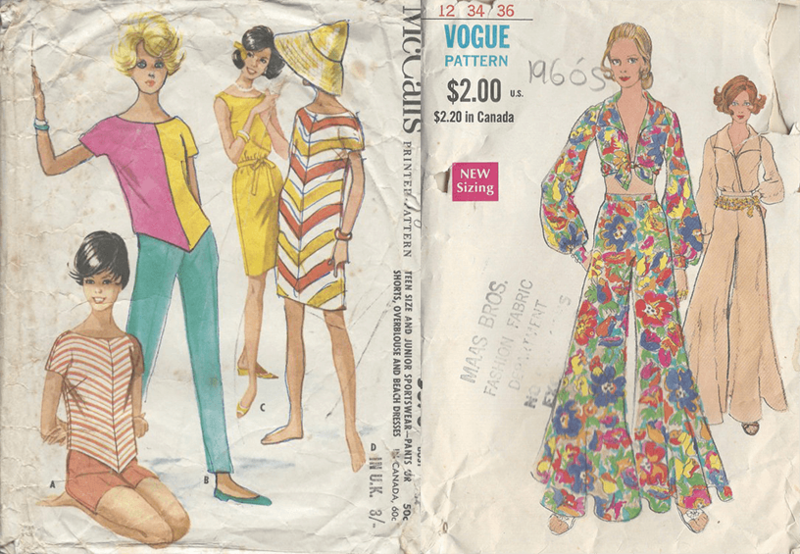 Here at The Vintage Pattern Shop, we’ve previously offered a history of fashion in the 1960s and shown you the range of patterns we have available for this decade. Today we’re going to highlight some of the key trends you might see this summer that takes inspiration from the swinging sixties. It almost goes without saying that you can expect mini-skirts and A-line dresses, but for a true 1960s’ look, you’ll want to employ some pleats or pockets in these creations. When crafting these items, it’s advisable not to overdo it but include both features at the same time. Pleats and pockets on their own will go well with either a mini-skirt or A-line dress. Create either a billowing effect with pockets or show of the lines of the body with pleats. Bold prints are a key feature of fashion from the 1960s. Popular prints that have been revived recently are checkerboard and stripe patterns. With summer well on its way, major fashion designers are evoking the style of a Palm Beach socialite from the 1960s, such as Lilly Pulitzer. On the catwalk, we’ve seen swirling prints of rainbow colours by Marc Jacobs, and tropical Hawaiian-style prints from Gucci. 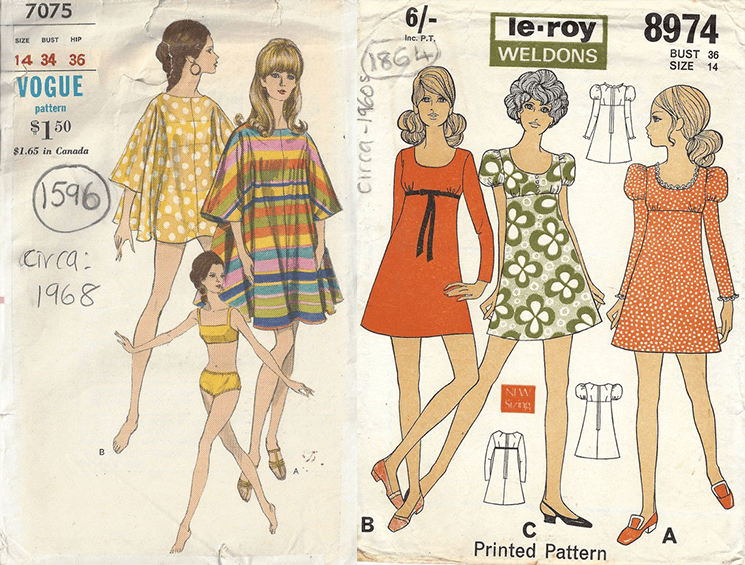 Take this element of 1960s’ fashion by selecting these styles of fabric for your sewing patterns. Key colours that you’ll see include sunset inspired tones such as yellow, camel, and off-white. Whilst prints will remain bold and bright, more muted colours will be in vogue when using block colours. These include teal, navy, and burgundy. 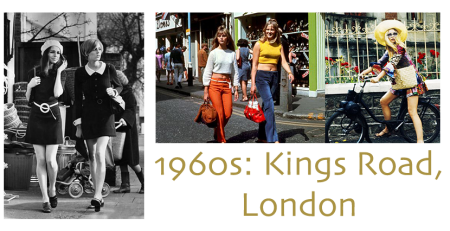 On the other end of the spectrum, this summer also takes inspiration from the Mod movement of the 1960s. Monochrome mod-style dresses have featured on the catwalk from brands such as Versace, and Paskal. Black and white polka dots are also another monochrome look that has been a feature from designers such as Junya Watanabe, which are big and bold, and Jason Wu, which range from minute to medium. That’s just to mention a few. To finish off your outfit, kitten heels and shoes with pointed toes are on trend this season, again, inspired by the fashion of the 1960s. 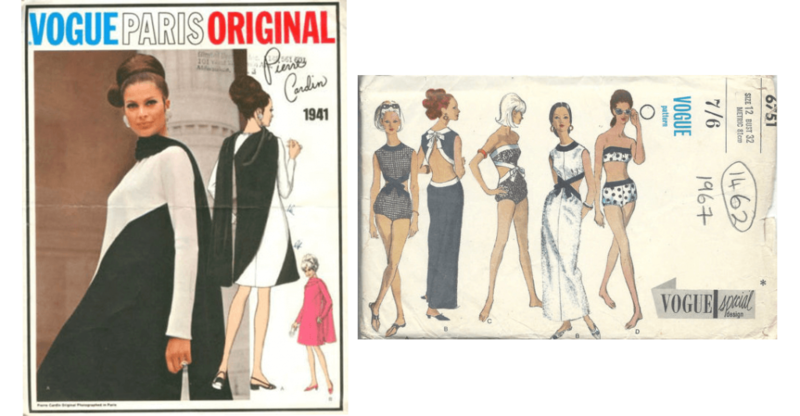 To find out more about which kinds of sewing patterns we can offer you from the 1960s, please complete our contact form, or email us at thevintagepatternshop@yahoo.com. We will also be happy to speak to you directly if you call us on either (0044) 1621-331441 or (0044) 7595261171.